If you’re going to design a closet you can follow these steps to get you there. Everyone has their own individual style and therefore their own individual clothes. Why leave your closet design to guess work? Take a bit of time to take stock and measure up to find a closet design that will turely work for the clothes that you own. This design a closet page forms part of the closet design series. To find out what you need to store in your new closet, the first place to start is your current closet. It’s worth having a bit of a clear out before you start the design a closet process. Use your current closet to determine the following information separately for each person whose clothes will be stored in the new closet. 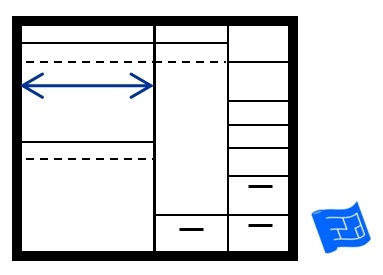 Total width of half hanging space. Half hanging space is required for clothing like shirts, or knee length skirts or trousers that are hung folded in the middle. 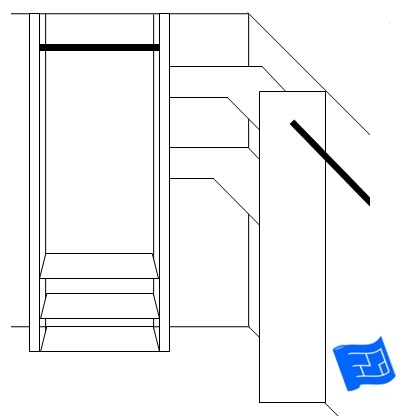 Total width of full hanging space. Full hanging space is required for clothing like dresses and long coats. 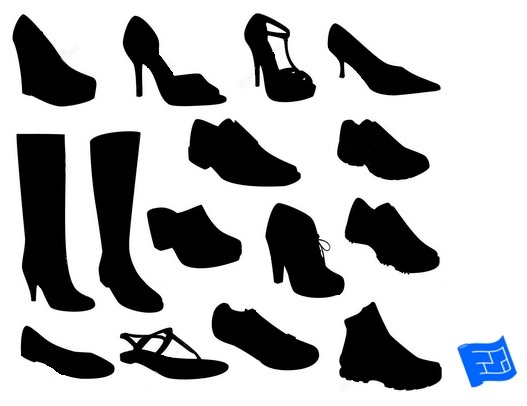 Count up how many pairs of shoes you own and determine an average width per pair. If you think space is going to be tight in your new closet, try measuring the width toe to heel. Count also the number of pairs of boots you have, split by ankle boots, knee boots and I guess thigh boots. How many shoes and boots do you want to store in your closet? 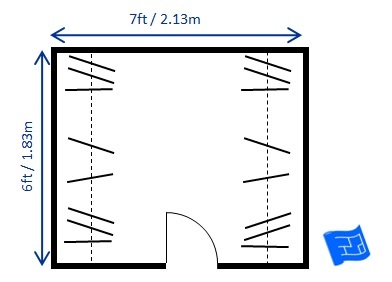 How much shelf area is taken up with folded items? What dimensions do your folded items take up? You may want to split this category up depending on the folded item. For example, a t-shirt takes up less room on a shelf than a large sweater so it would make sense to have those in separate categories. What volume of drawer space do you currently use? Again, it can be helpful to break this down into items, for example, nightwear, underwear, socks and hosiery, gym gear, belts, scarves etc. How much shelf and drawer space do you need? 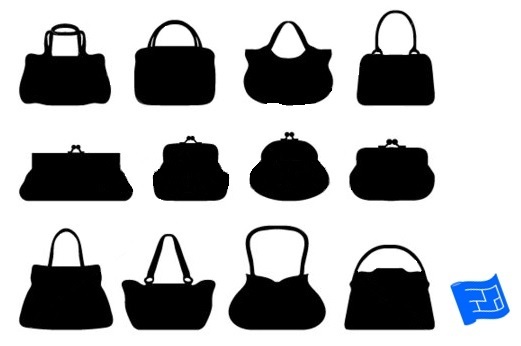 List your handbags and dimensions. What else do you need to store in your closet? Note down any space required for accessories, hats, suitcases etc. Have a think about whether or not your bedroom or walk-in closet will include a dressing table. 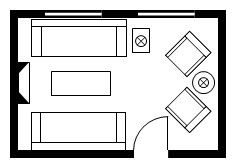 If you already have house plans, you can find the closet dimensions from your plans. 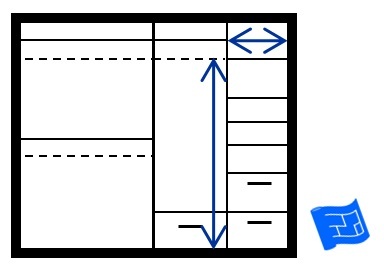 Note down the floor dimensions and the height. Check to see if your architect has marked in rods or shelves to give you an idea of the closet might be arranged. If your architect has started the closet design that's great, but it's a good idea to make sure it will work for you. 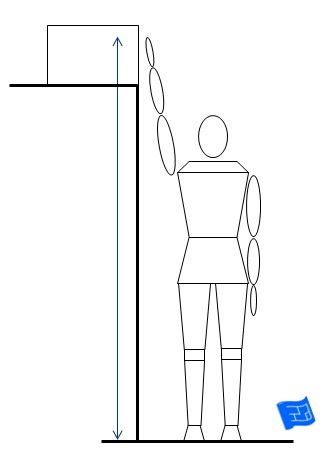 Measure how high you can reach to use a high hanging bar. To do this, hold a coat hanger in the corner and see how high the hook of the hanger reaches. That’s your maximum hanging height. Measure how high you can reach to grab a handle. Then take 5 inches (13cm) off this. This is your maximum shelf height for frequent use. You could have shelves higher than this, but you wouldn’t be able to reach them comfortable so it wouldn’t be suitable for everyday use. Notice that your maximum hanging height will be higher than your maximum shelf height. Now that you know what you need to fit in, the space in which you need to fit it in, and how far you can reach to find everything it's time to figure out exactly where everything will go. If you have a closet company in mind, get a copy of the brochure so that you can see all the closet storage solutions that they have available. Sometimes a particular storage solution can provide inspiration to help design a closet. Consider which items could fit in different places, for example a t-shirt that you currently store folded up, could easily be stored in a half hanging space. Bear in mind the principles of good walk in closet design. Now that you've got the overall design in place, look for opportunities to make use of every space possible. 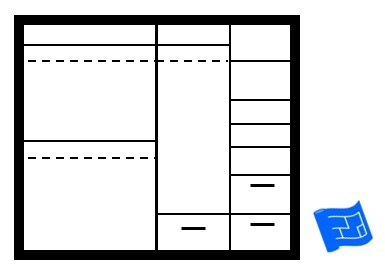 High boxes for high shelves or corner shelves. Include accessories that are as adjustable as possible. Make use of the insides of doors – belts, ties, scarves, accessories. 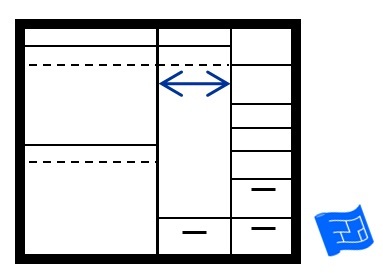 Pull out units or fold back units to make full use of space which is otherwise hard to reach. Drawer dividers to keep things organized. I've mentioned in closet design mistakes that corners are hard to deal with in closets. It's so tempting to add a hanging rod or shelves to another wall to get more closet storage space. If you're going to have a corner in your closet, the way I see it, you have two options. Build out the corners. This seems to be the way that most luxurious closet installers go but it does waste a bit of space, and doesn't necessarily get you more space - see more below. Keep the corners and install L-shaped shelves. That way you can use boxes and it's not too much effort to move them around to get at what you need. You can put rarely used items in the boxes deep in the corner. Here's a little experiment to show that including another storage wall in your closet won't necessarily get you much extra space. In fact it can even result in you getting less space. Here we have a 7 x 6ft (2.13 x 1.83m) closet. 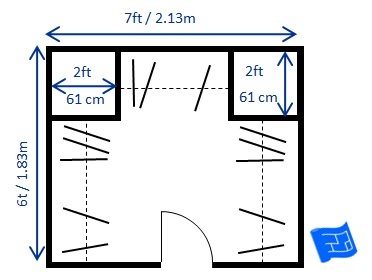 It has two storage walls providing 12 ft of storage space. 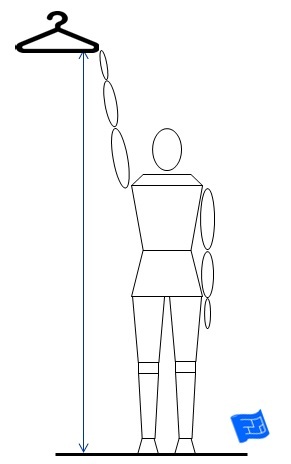 It's drawn as a hanging rod here but it could be any combination of hanging, shelving or drawers. If you design a closet with an additional storage wall, here's what you get. 11ft of storage - that's right, it's actually less, and you've lost that back wall which would have been a fabulous spot for a full length mirror. So that's it for this design a closet page.